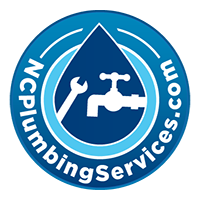 If you have an existing disposal in your kitchen sink, or are considering upgrading to a disposal, the qualified plumbers at NC Plumbing Services can help with a variety of choices. First, ask yourself what kind of disposal needs you have. Are you an active chef with lots of food-materials to dispose of on a regular basis or are you someone who cooks on occasion, but likes the convenience of using the disposal? Next, work with our plumbers to choose the best size and style of disposal for your kitchen sink. We’ll go through installation options and discuss maintenance and care of the disposal once it’s in place to ensure its length and successful use. However, unless your name is Cosmo Kramer, and you’re a friend of Jerry Seinfeld, we won’t discuss adding a disposal to your shower drain, no matter how much you ask!